If you’ve been injured in an accident caused by the negligence or reckless actions of another—an individual or a business—you may be able to get financial compensation for your injuries by bringing a Connecticut car accident lawsuit or personal injury case. Contact a Connecticut car accident lawyer at Volman Law. If you are uncertain as to whether you can be compensated, ask an experienced personal injury lawyer by e-mail or call (203) 929-7771 to schedule a consultation. Your consultation is free so you have nothing to lose by getting professional legal advice. At Volman Law, our Connecticut car accident lawsuit attorneys have helped hundreds of people sue for serious injuries, loss of wages, and mounting medical bills because of injuries they received in an accident. The Connecticut personal injury lawyers at Volman Law have helped people secure financial recovery for all types of serious and catastrophic injuries: spine injuries, traumatic brain injury, crushed or amputated limbs, even wrongful death of a loved one. At Volman Law, our Connecticut lawyers understand how deeply our clients are affected by the sudden loss of a loved one in an accidental death. We provide caring and compassionate legal representation to help families receive the compensation they need to move through the most difficult time of their life. If you have lost a loved one in an accident caused by another, you have a right to compensation for your loss. It is our job at Volman Law to prove the extent of your loss so that you receive just compensation. Whether your loved one was a breadwinner, a family caretaker, or a beloved child, they were vitally important to your family’s well-being and their loss is significant. We will work diligently to investigate the causes of the accident and to explain to a judge and jury the extent of your loss. Contact a Bridgeport, New Haven personal injury attorney at Volman Law or call (203) 929-7771. Weekend and evening appointments can be accommodated. 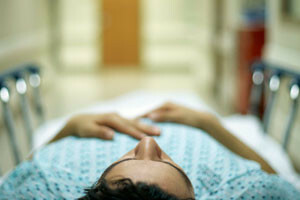 We accept personal injury and wrongful death lawsuits on a contingency fee basis. You will pay no attorney fees unless we recover money for you.